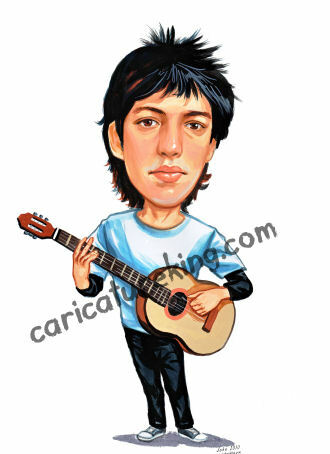 Here is a guitar player caricature. Do you know someone who plays a musical instrument? Why not get a caricature of them playing it? A great gift idea, or even use it as part of your promotional material if you are a musician!